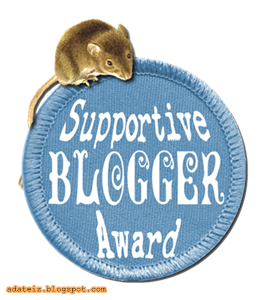 Another blog awards from dearest Ningrum, a new friend here in the blogsphere. She's an Indonesian blogger who just happens to also speak French! Amazing, isn't she? I've always wanted to learn another language, but French has never crossed my mind. Anyway, she's a sweet girl who blogs about her daily life and I just love the clouds she used as her blog background. 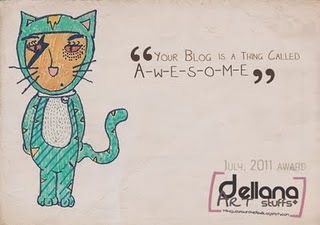 Be sure to check her blog out by clicking that name above ^^. 1. 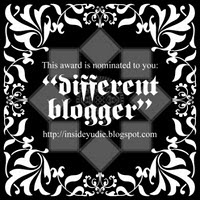 Yurina, for being one of the first readers of my blog until now. Thank you for the support, dear! 5. Gallery Of a Mother, for the skin care reviews that are just very descriptive. *hugsss* I'll make sure post this, I love reading your review too~~! 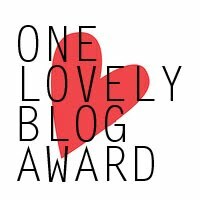 Congrats on this lovely amount of blog awards! Greetings from a new follower here!